Comment: I am interested in placing a 280 sf topping slab on top or an existing patio slab. The existing patio slab is pitched towards the house. I want to pour the new slab so that it pitches away from the house. Glen Cove Concrete Contractors are rated 4.75 out of 5 based on 438 reviews of 40 pros. 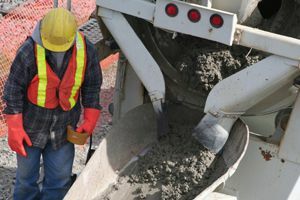 Not Looking for Concrete Contractors in Glen Cove, NY?